WHERE ARE ALL THE BLACK AFRICAN PROFESSIONALS? Not a lot has changed. Back in 2009, studies were conducted and reporters took to the debate on the transformational barriers inhibiting Cape Town. Today, in 2017, we are in the same place. The same because there isn’t a business in Cape Town that reports gains in attracting and retaining black professionals. There are no case studies to show how it has been done and how it can be replicated. 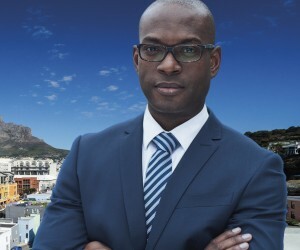 Black executives find Cape Town unwelcoming, hostile and ‘still stuck in the old work order’. There are institutional and systemic difficulties that have to be contended with in most corporates in Cape Town and thus, black professionals are unwilling to take up employment in the city. 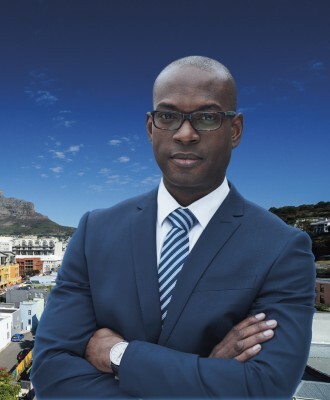 In uncovering the slow growth and unfavourable conditions for black executives in Cape Town, it is clear that the biggest obstacle is the cultural fit—both at an organisational as well as social level. The lack of senior black role models within these companies does not mitigate the negative experiences felt. Where there could be an opportunity for sharing and building morale, there are no people to do that with. In some cases, when there are those role models, they are unwilling to avail themselves to have the hard conversations about being black and the negative stereotyping that is reported in the workplace, the stereotyping that creates a lot of pressure and cynicism towards black executives’ skills, competence and capability to perform. To their knowledge, it is something that their white counterparts are not subject to. The history of South Africa cannot and must not be overlooked. Stories of segregation, which sowed deep divides and created gross inequalities in the country and, in particular, Cape Town, date far back. The consequences of these discriminatory practices have a lot to do with the current conditions and challenges of business in Cape Town. Accounts are given where black professionals feel a sense of otherness, a lost sense of being in an African city but feeling unwelcome are prevalent and can even be traced back to the 80s. With the redress projects being undertaken in the new dispensation, Cape Town business still finds itself wanting in this area. Recently, there has been a keen interest by most organisations to engage on this matter. It’s not new. One wonders what the newfound keenness means, why it is there and why now? Is someone lying awake at night thinking about the lack of black talent in their organisation? Is there an appreciation of the impact this has on their business, it’s performance and general economic sustainability if this issue is not addressed? Is there concern about the transformative legacy for the city and country at large? My recent engagement with ‘the keen’, supported by a study I conducted, has revealed and put to test some of the following thoughts that potentially drive solutions that move the conversation forward. Even if its just an inch, it would still be movement and time will need to be invested. An organisation facing the challenge to attract and retain black talent ought to, first of all, help the city of Cape Town to understand and come to terms with the fact that they are that culture—the culture which leaves people feeling excluded. The culture that is seen as structurally exclusive to whites and the wealthy. Unless this happens and the current defensiveness and dismissal of black professionals’ lived and working experiences continue, not much is going to be achieved. The organisation itself then has to accept and acknowledge the fact that they are that culture. They contribute to that culture of Cape Town being viewed as excluding. Doing this helps people to feel understood, to feel heard and as a leader, failing to know the merits and value of this means a lot more work needs to be done. Secondly, and importantly, organisations wanting to turn this tide need a visionary. That is, a person within the company who brings in ideas and, in this case, they might have to be radical. Ideas about what the future should look like, will look like and how that will be achieved. The nature and complexity of this work cannot be done by the same minds that halfheartedly see the merits of diversity, talk about inclusive workplaces but make this an HR imperative and want quarterly updates on it. A new language of belonging for all is needed because if we include people, the question then becomes, ‘Who is including whom? Who is at the centre of inclusion?’. This work demands that a change in the organisation happens and that means that the leader changes. This is because an organisation cannot grow beyond where its leader has ventured. A fairly new concept in the management field is able to facilitate some of the efforts needed—cultural intelligence. Cultural intelligence takes off where emotional and social intelligence leave off. It speaks to the motivation for multiple perspectives, the knowledge of one’s own social identity and how it informs and impacts the culture of the organisation. It then moves to the strategies and actions that need to take place—all of which are driven by the leader. Additionally, from an organisation point of view, coaching forms a significant part of supporting the attraction and retention process. It holds the executive together as they traverse new territories, new roles, new environments and new cultures. It becomes important for black executives to be able to use the space of coaching to express their realities without the fear of being misunderstood. The feedback from the study stresses the following point strongly. In order to be effective and be a support tool for black professionals, coaching cannot and must not depoliticise the terms of human experiences. It is necessary that in their work, coaches understand and acknowledge that people did not just get to where they are simply because of the choices they have made. There is a history, which has marred their existence and therefore, reframing problems stemming from socio-political contexts as stemming from within is disingenuous. The politics of identity are raging not only in the social space but at work too. For black professionals who are thinking about taking up the opportunity to work and live in Cape Town, ensuring that this move is aligned with their personal goals is vital. Moving to Cape Town is not simply a career move. First and foremost, it is a life choice and it needs to speak to the direction they want to take. If the decision is to move, commit to it because what is often seen is that most black professionals work in Cape Town but live ‘back home’, wherever that might be. The cultural unfit nature of this city and its workplaces will not advance unless it is taken on in its fullness. The transient nature and attitude, which is often directed towards Cape Town by black professionals do not create a significant cultural shift. It is important for those who are navigating the Cape Town business terrain to deal with both the actual and perceived discrimination. Feeling as though you are constantly being victimised or prejudiced against is not productive and therefore, impacts on your wellbeing and performance. Name your discomforts and call them out, even if your voice shakes. Rebellion is a form of survival and it helps people to understand what the boundaries are when engaging with you. To Human Resource Specialists, it is becoming more and more apparent that diversity is not your responsibility. At least not yours alone. The assignment often handed to HR to recruit and ‘sort out’ the diversity issue is fast becoming outdated and has evidently failed in Cape-based companies. Leadership at the top tier of the organisation has to take ownership of this and drive it through an energy and determination that’s unwavering. Anything that has to change requires something. Most Cape-based businesses call this challenge facing them ‘overwhelming’. White executives are heard saying, ‘Damned if you do, damned if you don’t’ and they literally shrug their shoulders. The appetite to build workplaces that begin to design themselves along the lines of equality and culturally intelligent practices is seen as mammoth. The reality is that the status quo continues. Emails are still written in Afrikaans, organisations still speak about values that drive performance and culture, and are oblivious to the need to unpack and reframe those in order to draw multiple voices. Black professionals, on the other hand, are unwilling to be subjected to words such as tolerance, inclusion and diversity—microagressions directed at them. A new age has arrived. New leaders and visionaries are the minimum requirements. People have to be willing and ready to roll their sleeves up and to do the hard work of transforming spaces. Cape Town businesses need to move away from simply being keen.